Abhimanyu Dassani made his debut with Mard Ko Dard Nahi Hota. 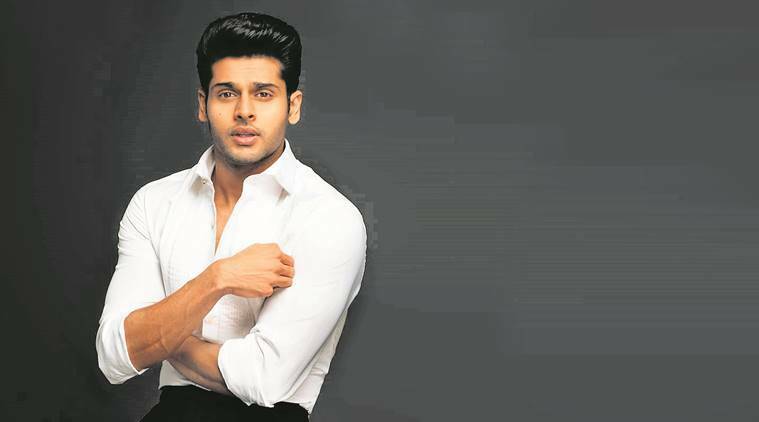 It took actor Abhimanyu Dassani five weeks to audition for the lead character of Surya, the ‘mard’ in the eponymous film Mard Ko Dard Nahi Hota (MKDNH), which recently opened to a warm critical response. Five weeks is often the time span in which the shooting schedule for most films wrap up. “I knew that this was the role of a lifetime. The first two days, I did not even get a chance to audition. After that, every single day, 9 am to 5 pm, I was at Mukesh sir’s (casting director Mukesh Chhabra) office. For the next five weeks, it was scenes after scenes, workshops and so on,” says Dassani. Directed by adman Vasan Bala, MKDNH tells the story of Surya, who doesn’t feel any physical pain because of a congenital disorder. Simple injuries could be life-threatening. For survival, the character starts learning karate. Dassani too had to develop a body that was attuned to high-calibre action. “It was tough to portray a man who doesn’t feel pain but also knows martial arts. He has been protected all his life, but has strong reflexes. Getting the body language right was another challenge — he can’t move as freely. Moreover, he is socially awkward. I think it’s a lot like being Po in Kung Fu Panda, who has no inhibitions. Surya has to be taught how to say ‘ouch’ when someone hits him,” says Dassani, who trained intensively for nine months for the role. “It was a no sugar, no salt and no cheat meal diet,” he says. We wonder what he survived on. “Paani pe,” comes the reply, referring to his character Surya, who needs to constantly chug water for survival. Son of actors Bhagyashree and Himalaya Dassani, Abhimanyu, 29, has been in the film circuit for almost a decade. “I had no intention of being an actor. I was about 20 years old when I went on a Rohan Sippy film set, and that’s how it started. I have assisted on films such as Nautanki Saala and Dum Maaro Dum,” says the actor. Abhimanyu insists that even though his parents were actors, his was not a filmy household. As a kid he only recalls visiting a Rohan Sippy film set. “We would just watch a lot of movies together. Till now, I watch all animation films with my mother,” says Abhimanyu, who holds a Bachelors degree in finance from Mithibai College. “I started working when I entered college. I dabbled with start-ups and travelled the length and breadth of Mumbai,” says he. The actor is glad that his debut film explores the city of Mumbai. “Rohan Sippy, who loves shooting in the rains, once told me that it’s during the monsoons that Mumbai becomes Bombay. It breaks you down and it makes you what you are supposed to be. Vasan sir, wanted to establish that simple things are significant. You don’t have to show Gateway of India. We will show what you see every day — a building in redevelopment covered by scaffolds and the hidden bylanes of the city. MKDNH is not about changing your life but to connect to the one you already have,” says the actor. Currently he is happy with the appreciation he has received. He is also optimistic of the narratives that are being churned out. “For me, cinema is not about minting Rs 100 crores, but to carry a character with you once you leave the theatre. My mother achieved that with one film. I wish some of my characters also have that impact. We have had Andhadhun, Raazi, Badhaai Ho last year. We are in a state of flux right now, and there is massive exposure to global content, courtesy the streaming platforms,” says Abhimanyu.